my grandma would be so proud! I have always been a voracious reader. If I am bored, I will pick up whatever is around and read it. When I was younger and we used to go hang out at my grandma’s house after school, I loved looking through her magazines: Ladies’ Home Journal, Good Housekeeping and Reader’s Digest. In fact, I loved RD so much that my mom sent me a subscription to it when I was a freshman in college. I am pretty sure I was the only 18-year-old on SMU’s campus that looked forward to Reader’s Digest coming in the mail each month. I still love it. 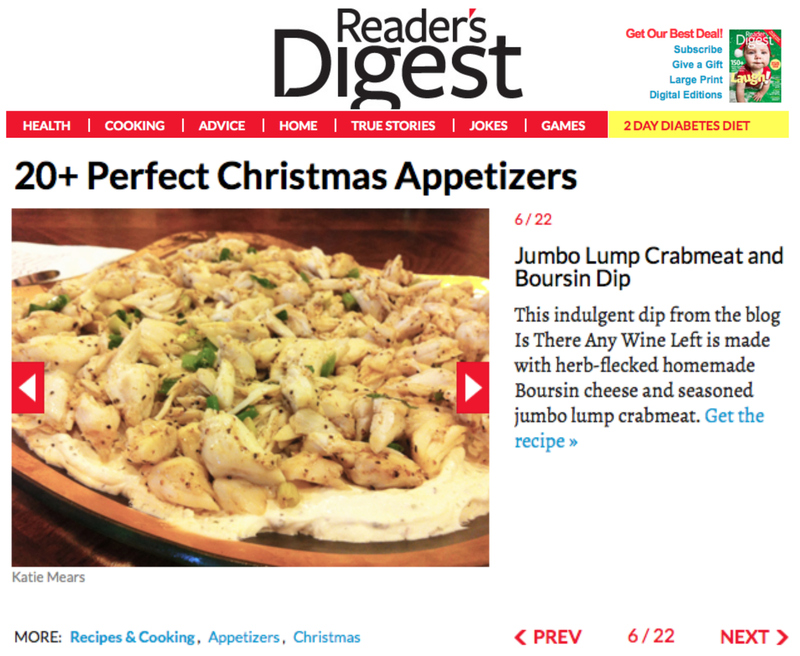 So imagine my excitement when I got an email this morning from Reader’s Digest letting me know one of my recipes was featured on their Perfect Christmas Appetizers roundup. How fun!